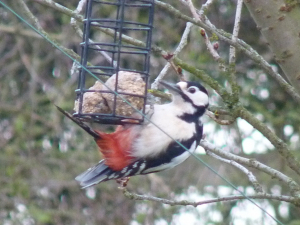 Observation - Great Spotted Woodpecker - UK and Ireland. Description: Red, white and black woodpecker at our peanut feeder. Red, white and black woodpecker at our peanut feeder.